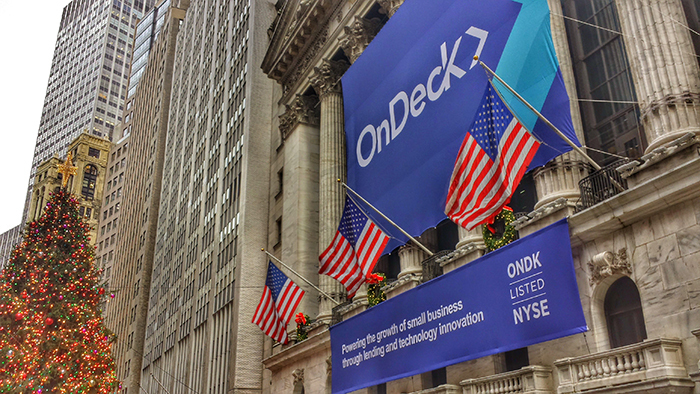 OnDeck’s cost of funds dropped significantly in 2018, according to their last quarterly report. The rate was 5.6% in Q4, compared to the 6.8% it started off at in Q1. That’s all before OnDeck even closed on an $85 million revolving credit facility with a lender group consisting of four banks earlier this month. The rate on that came in at 1 month LIBOR (currently around 2.5%) + 3.00%. OnDeck’s loan yield in Q4 was the highest its been in the last 2 years at 36.6%. The company enjoyed record earnings for Q4 2018 ($14 million) and full year 2018 ($27.7 million). They also had record origination volume of $658 million, a 2% increase from Q3 and a 21% increase from Q4 2017. Their sales and marketing expense for acquiring new customers remained flat compared to last quarter.